Since moving into my own flat with Scott I’ve very much been interested in home decor. Kate La Vie is a blogging interior inspiration! Don’t get me wrong, there is always room for improvement. There is a lot I still want to do, but I thought I’d show you some of my favourite things about my little home. I will keep you updated with new decor posts so keep an eye out. One of the first things I love and want to grow more is my frame wall. 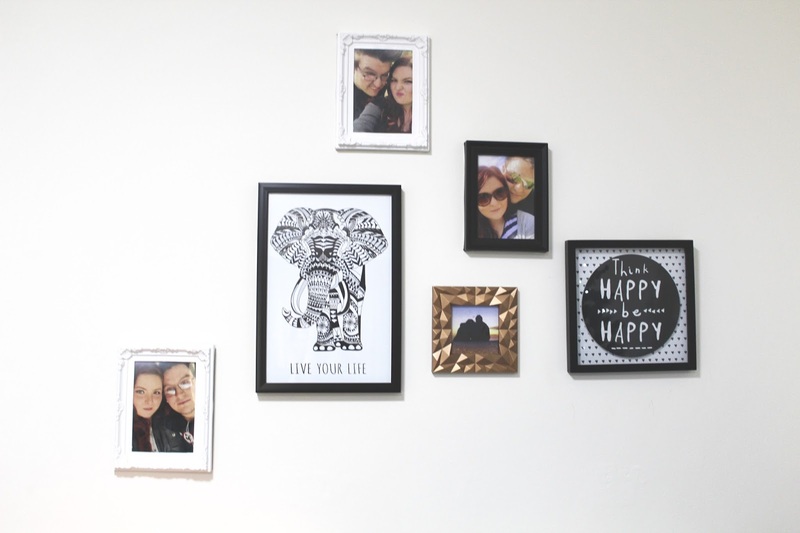 I want all different shapes and sizes of frames, some for quote, positivity or cute snaps. Here’s what I have so far. The newest additions is the elephant image and the think happy one which were both from Primark for about £6 each. Next I want to add some more copper frames as I only have one at the moment. 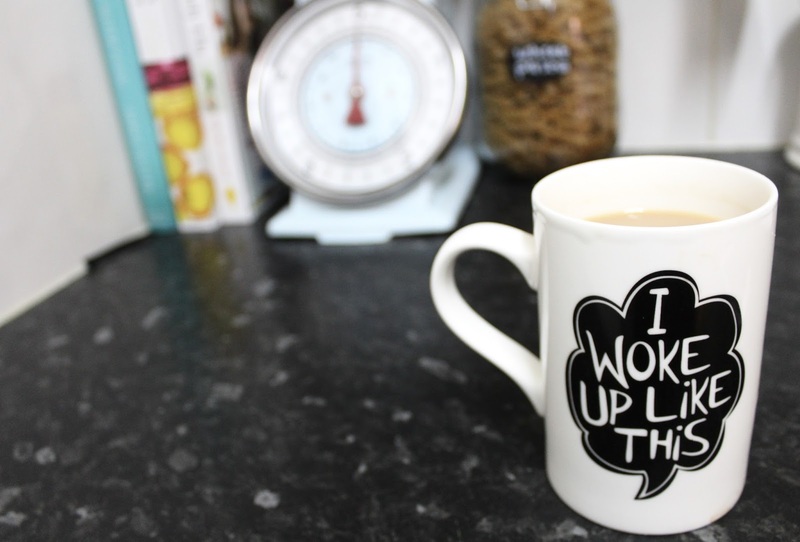 My ‘I Woke Up Like This’ mug was also from Primark, can’t remember how much but I think about £3. 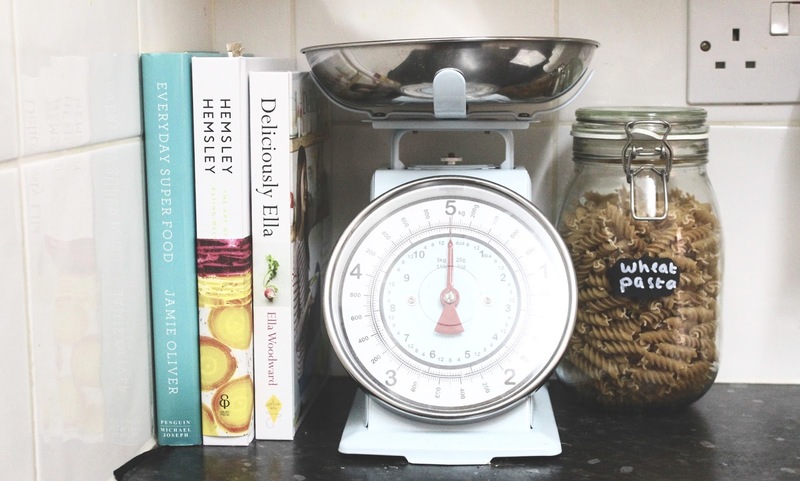 I picked up some healthy recipe books, Jamie Oliver Everyday Superfood, Hemsley & Hemsley and finally Deliciously Ella. I want to be healthier this year, preperation is key. All of these were from Amazon but you can pretty much get them anywhere. Some of the recipes are amazing and I can’t wait to try them, especially the Kelp Pot Noodle in the Hemsley & Hemsley book. Also for my kitchen I picked up this gorgeous canvas, again from Primark for about £7. I love Primark if you hadn’t noticed. I live off coffee so this was pretty fitting. 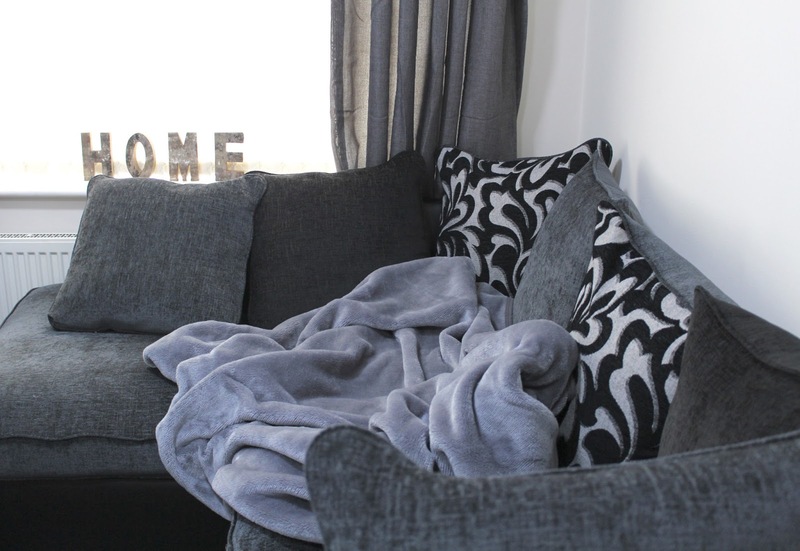 You guessed it from Primark I picked up these curtains for the living room, the colours go perfect with our sofa and really bring the room together and make it so much cosier. The curtains were a bit more but they are amazing quality, picked them up for £35. I got the wooden HOME letters from my Grandma for Christmas but there were from Asda, I saw on the box. I’m really pleased with how my flat is coming along and it just gets better and better as we add more stuff. Living on my own (well with Scott) has been the best decision I made. I feel so independent and can do what I want. Also having control of the TV remote is a bonus! 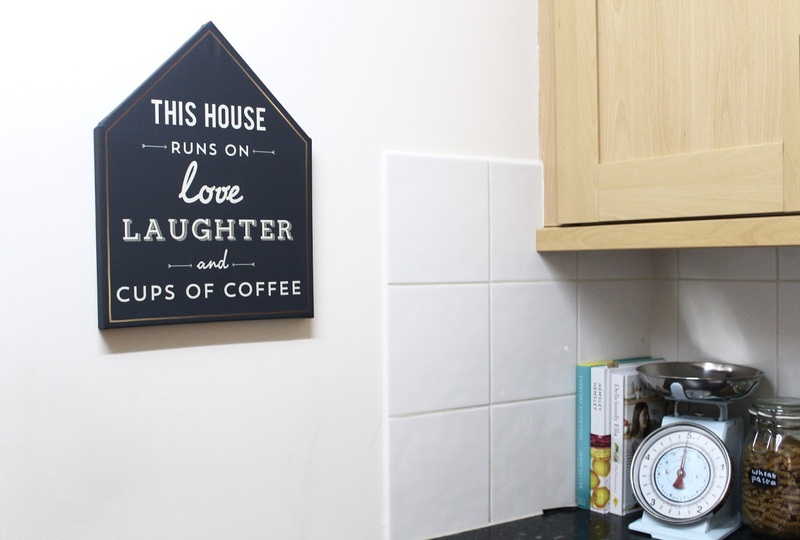 What’s your favourite thing about your house? Let me know in the comments below!